So my first impression is this: I don't like these. I don't hate hate them (yet), but I did not enjoy my serving and I was half tempted to stop eating until that top layer of chocolate kicked in and balanced things out a little better. See, I don't really click with chocolate hazelnut in general really, and this treat seems to exacerbate what I don't like about that combo. 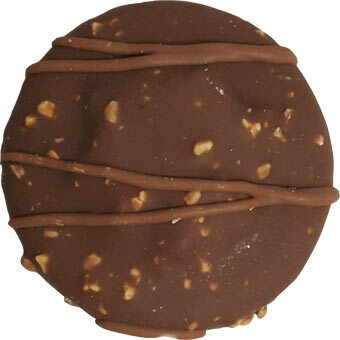 It's not that it's too strong in the hazelnut department, it's just that there is this really weird flatness to the treat. It's a flavor combo that is there, but not there. I wondered for a moment if I wanted a salty component at first to try and make it pop, but I don't think that would help (but it might). Back to the chocolate layer that brought a much need chocolate boost to this treat. 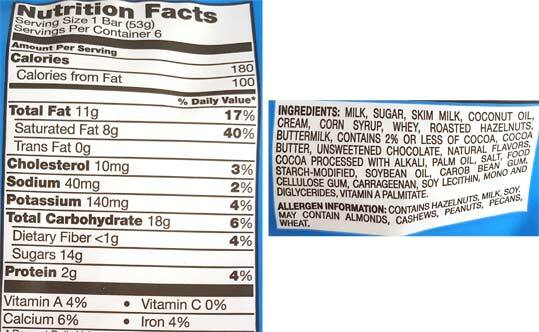 It's thick enough that in that it's able to try and trick your brain in to thinking you are eating something more akin to a candy bar. Yes, I wish this layer was thicker and covered the entire treat, but like I said, it was enough to make me finish the treat. Finally thoughts? 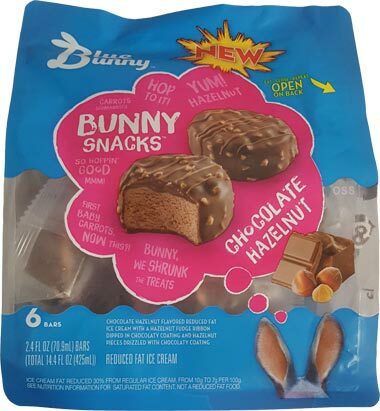 Hazelnut bits might have helped more if there were more of them, but at least they covered the whole treat unlike the last bunny snacks I tried. The second scoop will decide if I keep the final four treats for myself or try to pawn them off on my coworkers. On Second Scoop: Lowered expectations can be a good thing because this didn't taste as "flat" today. Deep down I am still waiting for something to happen. You keep taking that next bite hoping the treat will finally pop, but at least I enjoyed it more than yesterday. Should had added nutella in there! I really liked these - but I do love chocolate and hazelnut together. No luck finding those anywhere - I love hazelnut everything so I'm dying to try them. do you have any blue bunny in your area? if so, try as many grocery store chains as you can, someone should have these for you!